Sanctuary Cities – What is Sanctuary Cities? The phrase, “sanctuary cities,” has been getting a great deal of mention in the press and other areas within the past few months. What’s not as clear, though, is the meaning of this term. What attributes is the press talking about that makes a particular city a sanctuary city? For whom are such cities a sanctuary for? A brief explanation of the highlights of this term follows. 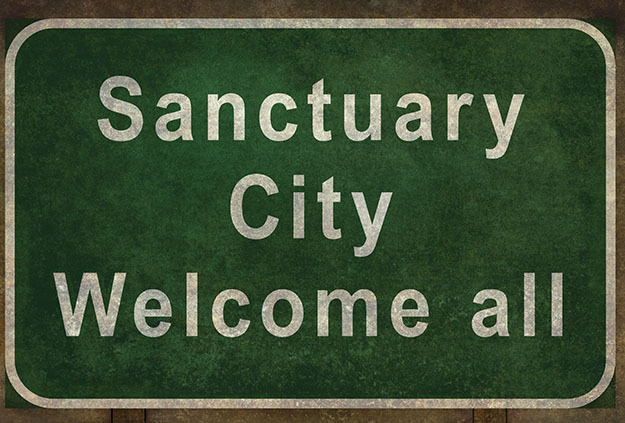 While sanctuary city is not a legal term, the phrase has, nonetheless, been used extensively throughout the media and in government materials. At present, the Department of Homeland Security maintains a list of entities that have been labeled as “sanctuary jurisdictions” by the agency’s secretary. What is Sanctuary Cities? The term, “sanctuary cities,” is a bit misleading. In reality, both cities and counties have been designated as being jurisdictions of sanctuary for undocumented immigrants. These areas provide a means of shelter for such immigrants. The most common methods of sheltering involve protection from immigration laws, such as those that are focused on deportation and that are handed down by the federal government. The procedures that these jurisdictions have established can vary. They can be broken down into two broad categories. In one instance, there are those procedures that are established by law — or de jure. Within the other category, fall those procedures that are maintained in practice by an action — also known as de facto. Though sanctuary cities span the United States, and can differ widely in attributes such as their size, population and other aspects, they all share the same general approach to immigration status. An adherence to policies that help protect people from inquiries about their immigration status during interactions with municipal employees and law enforcement is a key factor. Additionally, within these jurisdictions, its resources and municipal funds are not used to enforce federal immigration laws. The reasoning behind a jurisdiction’s decision to become an sanctuary city is twofold. In an effort to encourage its residents to use the resources available in each locale, many cities pledged to protect them from laws that are designed to deport undocumented immigrants. Support services such as health care, educational opportunities and social welfare are designed to increase the knowledge base, health and quality of life of the city’s residents. This, in turn, provides a stronger structure for the locality itself. Another, equally important, reason for offering this sanctuary is focused on improving the safety of the city. Whether an immigrant is documented or not, the vast majority are working hard every day to make a good life for themselves and their families. Feeling safe enough to report crime without the fear of deportation is a crucial step in that process. A sanctuary city provides this protection to do so.